Investors won't forget autumn 2018 in a hurry. After peaking in late September the S&P 500 index, by far the best measure of the performance large-cap American stocks, was down almost 10pc last week while the tech-heavy Nasdaq had fallen by 12pc over the same period. On this side of the Atlantic, share prices peaked earlier in the year. In London the Ftse 100 index of the UK's leading shares has dropped by almost 13pc since last May, while the French CAC index has fallen by 13pc and the German DAX index is down by 18pc over the same period. Ireland has not been spared from the sell-off, with the Iseq overall index down by a massive 24pc since May. So is the fall in share prices merely a temporary blip or the start of something more serious? Since bottoming out in 2009, the US economy has experienced the longest recovery in at least 150 years. While the US stock markets have made fools of those who predicted that the election of Donald Trump would be followed by Armageddon - with the S&P 500 leaping by 37pc from the 45th president's election in November 2016 to September 2018 - nothing lasts forever. With the US unemployment rate at its lowest level since the late 1960s and the Federal Reserve pushing up interest rates, the odds on an American economic downturn are shrinking fast. This almost certainly means that US share prices have further to fall. How much further? While the fall in US share prices that followed the 2008 financial crash was particularly severe, it is worth bearing in mind that the S&P 500 fell by a massive 52pc from its September 2007 peak to its February 2009 trough. While the US economic recovery began in 2009 it was not until 2013 that the eurozone economy began to recover. While the US economy exceeded 2007 output levels by 2014, the eurozone economy has yet to do so with extremely high unemployment rates in several leading eurozone countries including Spain (15.3pc), Italy (10.7pc) and France (8.7pc). These unemployment rates would seem to indicate most of the major European economies still have plenty of spare capacity and that the risk of overheating is minimal. 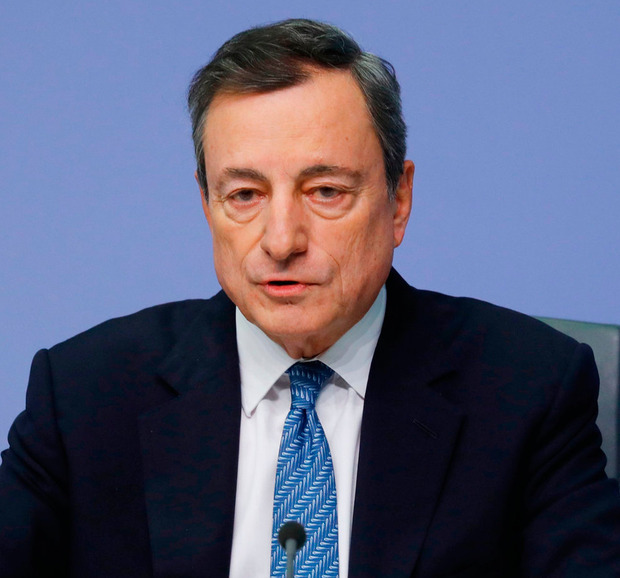 The tepid performance of the eurozone economy has not prevented the ECB from stopping its quantitative easing (QE) programme of bond-buying this month. It is also laying the ground for interest rate increases, the first since 2011, in 2019. This means that European share prices are far more vulnerable to any global sell-off than the raw economic data would indicate. It is almost certainly the end of QE rather than any, almost certainly very modest, ECB interest rate increase that poses the biggest threat to eurozone, including Irish, share prices. So what happens now that QE is no more? In a worst-case scenario the ECB would start to aggressively sell down its bond holdings. This would crash bond prices and drive up interest rates, leading in turn to a further fall in share prices. Even if this doesn't happen and the ECB only gradually sells off its bond hoard, the end of QE - which at its peak saw the ECB buying €80bn of bonds every month - by withdrawing an important support for the bond market will tend to push up long-term interest rates. The imminent demise of QE has already clobbered European bank shares, with the Euro Stoxx index of leading eurozone bank shares down by third over the past 11 months. Irish banks haven't been spared with the Iseq index of financial shares having shed 37pc of its value since its late-January 2018 peak. On a less abstract level, at last week's share price of just over a fiver, Bank of Ireland is trading at just two-thirds of the price at which the shares were consolidated in September 2017. Meanwhile the AIB share price of €3.54 is down by a fifth on the June 2017 IPO price of €4.40. At least the Irish banks have been recapitalised, at enormous cost to the taxpayer. The plight of some of the mainland European banks is much worse. Look at Deutsche Bank, Germany's largest bank and the third-largest (by assets) in the eurozone. It is currently trading at less than €8, down more than 50pc over the past year by over 90pc on its May 2007. At the current share price Deutsche Bank, which has a balance sheet of almost €1.4trn, is valued at less than €16bn. So are there any grounds for optimism? The worst of the bad news is concentrated in the financial sector. While the FTSE index of non-financial UK shares is down by more than a fifth from its May peak, it is still up 90pc on its March 2009 trough. It is a similar story with Irish shares. While the Iseq general (ie non-financial index) is down by almost a quarter on its May peak, it has still more than trebled from its March 2009 trough. As the Irish banks retreat to their domestic market, a slew of Irish industrial and services companies including CRH, Ryanair, Kerry and Glanbia have gone out and become world-beaters. What has happened in the Irish equity market is merely an accentuated version of what has happened in other, larger, markets. The moral for investors is clear: with the outlook for financial shares likely to remain poor, don't bank on the banks.